Welcome The Northern Most Tea House In The World! Fairbanks, the largest city “Farthest North” in Alaska, finds long days drenched in dusk and bone chilling cold in the winter months. The community finds one of the season’s best comforts in hot, comforting concoctions, and a modern, serene environment to gather. Tucked in a cozy and inviting environment with fresh, unique, and tempting treats, Sipping Streams Tea Company delivers on demand to a culinary niche. Customers enjoy an unhurried space with free Wi-Fi for meetings, afternoon Victorian tea, or social events hosted by the tea house. Sample the “tea of the day”, or request any of the fifty high quality teas in two-ounce bags to try at home or buy in bulk. All tea blends are handcrafted and some use Alaska’s handpicked herbs, such as “Arctic Bliss”, a Fireweed and Low-bush Cranberry based blend, and “Northern Serenity”. The “Masala Chai” received high praise from Interior Alaska’s re-deployed military personnel and travel aficionados who crave an authentic, custom-blend of Indian Chai only available at Sipping Streams. All teas and herbs are imported direct from the country of specialty to keep strict quality control. Tea ceramics and chinaware are available in modern or traditional patterns. Nosh and nibbles include traditional Chinese “dim sum”, appetizers eaten for brunch or “tea time”. Steamed buns, glazed baked buns, egg custard tarts, rice congee soup (called “Jook”) and Banh Mi Vietnamese pork sandwiches are available daily. Traditional Western tea goodies include assorted finger sandwiches, fresh salads, Butter Tea Cookies, Chocolate Black Tea cake, Lavender Cake, and a Sipping Streams original: Vegan Japanese Matcha Green Tea cupcakes. The menu also includes gluten-free items Chinese Almond Cookies, and gluten-free Rice Cake, gluten-free noodle soup. 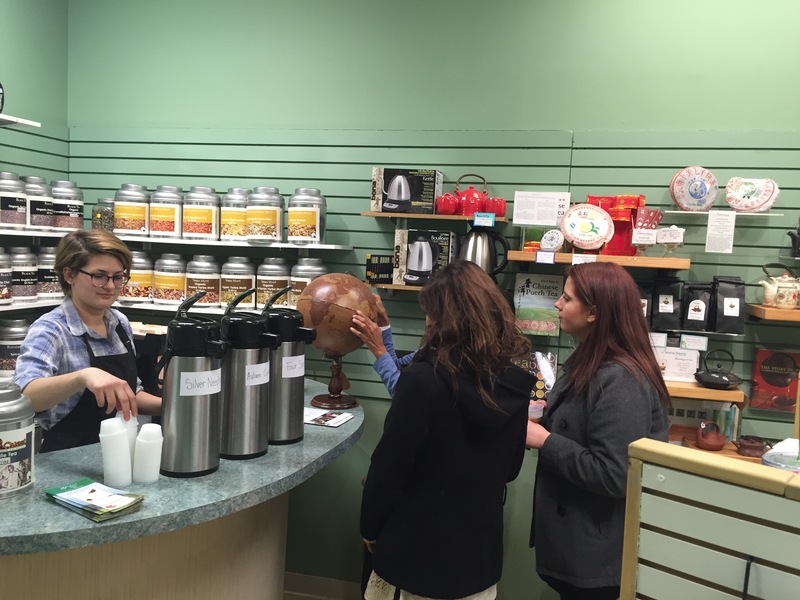 Owner, Jenny Tse, conducts monthly tea classes at the shop, or at the University of Alaska, Fairbanks. Participants learn about the origins of tea, differences in tea qualities, the complexities of tea flavors, tea pairing with food, and the medicinal qualities of tea. Similar to a wine-tasting class, tea is the new art in beverage consumption and the answer to otherwise bored coffee drinkers looking for a new indulgence –just don’t call the tea house a café!